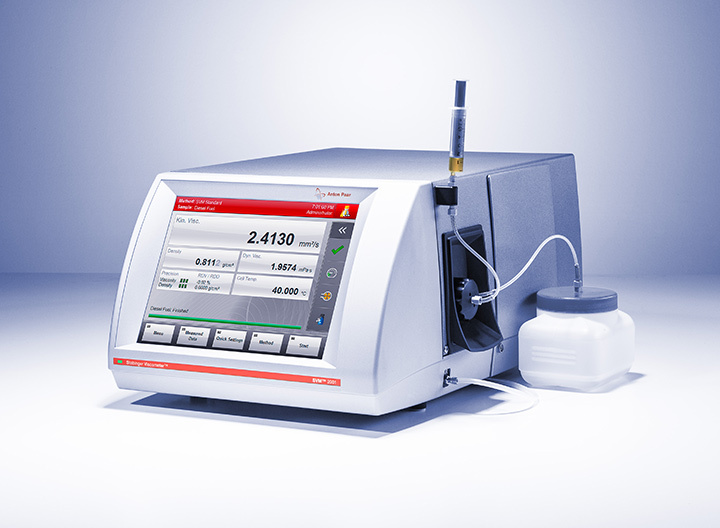 Anton Paar’s viscometers have revolutionized viscosity measurement. 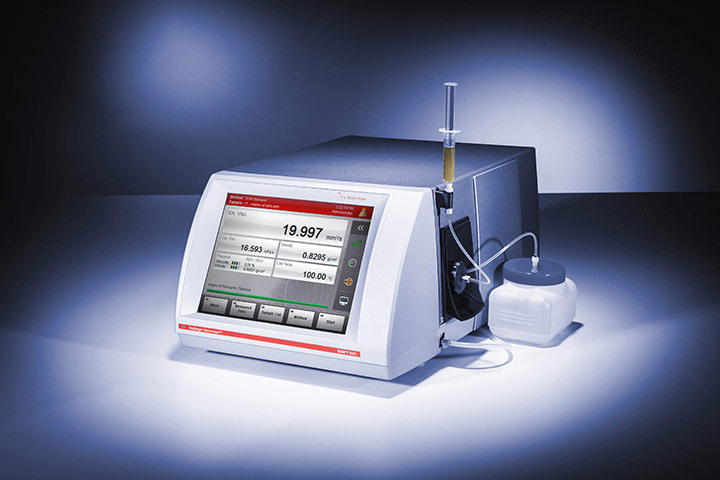 With the SVM Viscometer series and the Lovis 2000 M/ME rolling-ball viscometer, viscosity determinations are quicker and easier than ever before. 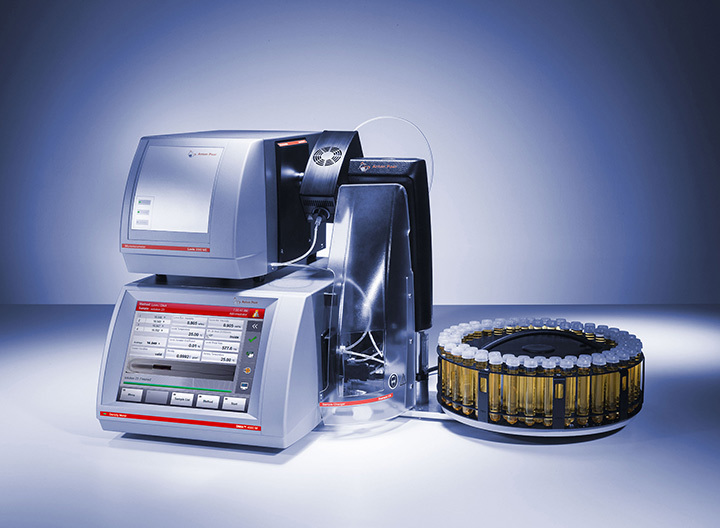 If you wish to study viscosity in rotation, Anton Paar’s ViscoQC series and RheolabQC achieve precisely what is required, no matter whether you want to run quick single-point viscosity checks or more sophisticated rheological tests. 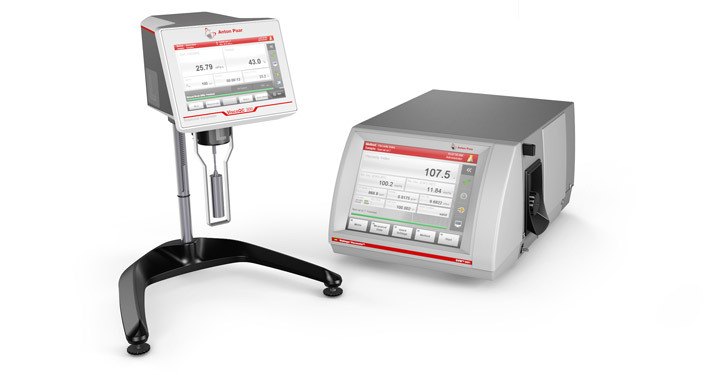 Anton Paar viscometers (except for ViscoQC X00) provide fast and stable thermoelectric temperature control via Peltier elements. 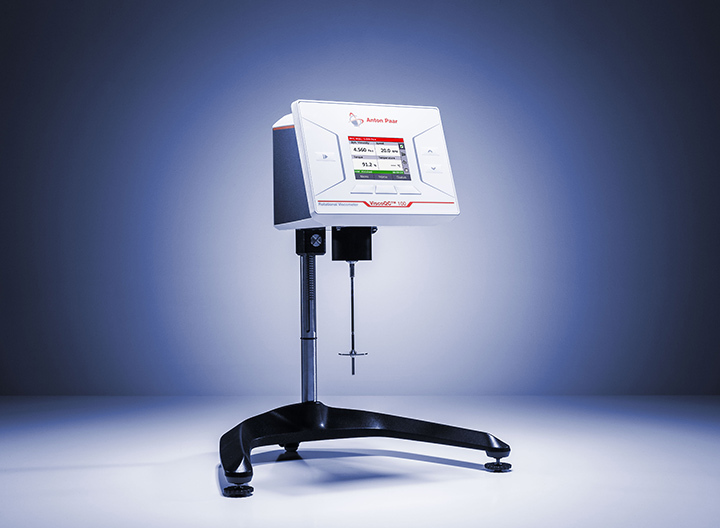 Based on this feature, you can easily perform temperature scans or measure viscosity at a series of alternating temperature values. Without thermostatic baths/refrigerating circulators, you save a significant amount of work and time and can count on stable, accurate temperature values throughout your measurement. For ViscoQC a compact economic thermostatic bath is available to accurately control the temperature. 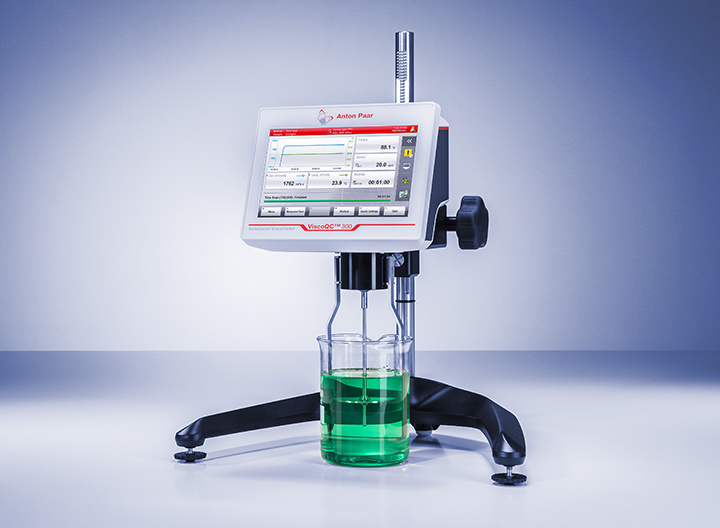 Save time, sample liquid, solvent, power, and lab space in measurements with an Anton Paar viscometer. 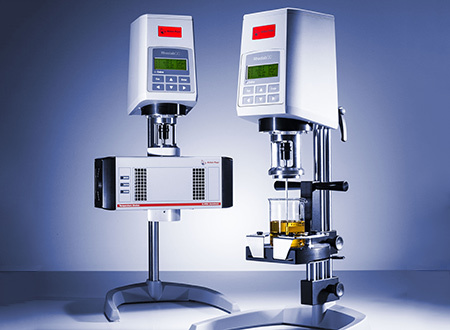 The compact design, small measuring systems, advanced measuring technology, and efficient temperature control of the digital viscometers reduce the required resources to a minimum. 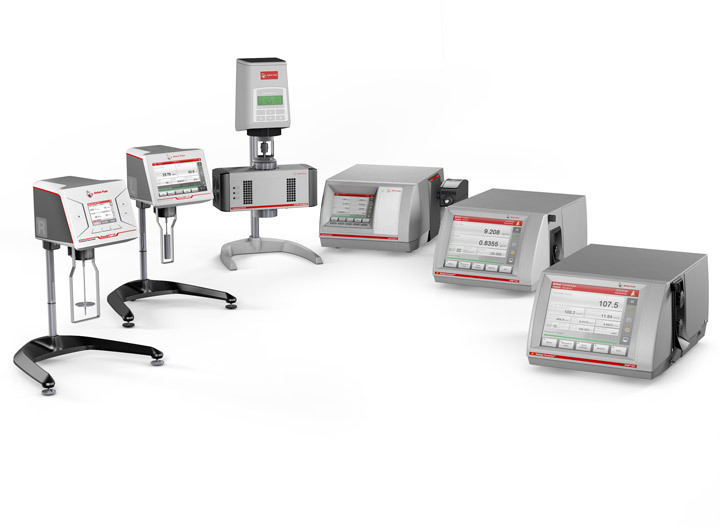 Be on the safe side with your measuring results due to full compliance with international standards. 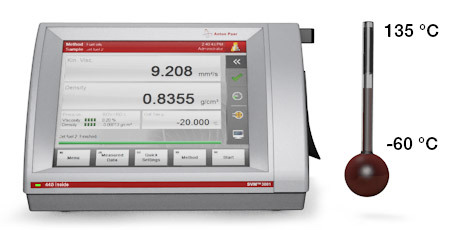 Depending on the Anton Paar viscometer model you use, you can be sure that you are operating according to ASTM, ISO, DIN, or EN standards. 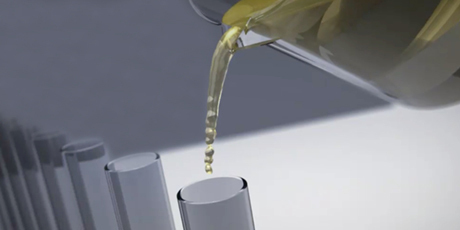 This means you can compare your measuring values to established criteria for determining viscosity. 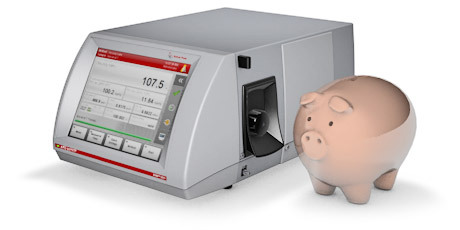 Due to their robust and well-thought-out design, Anton Paar viscometers reliably run for many years while only requiring a small number of wearing parts such as sealing gaskets. The regular replacement of a few parts keeps your instrument in a perfect state at a minimal cost. 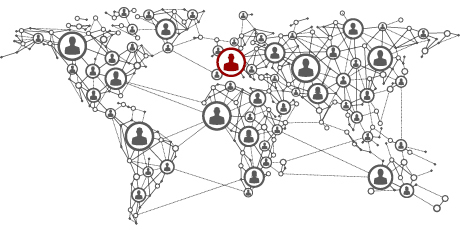 A worldwide service network ensures that the right contact person is always close by. 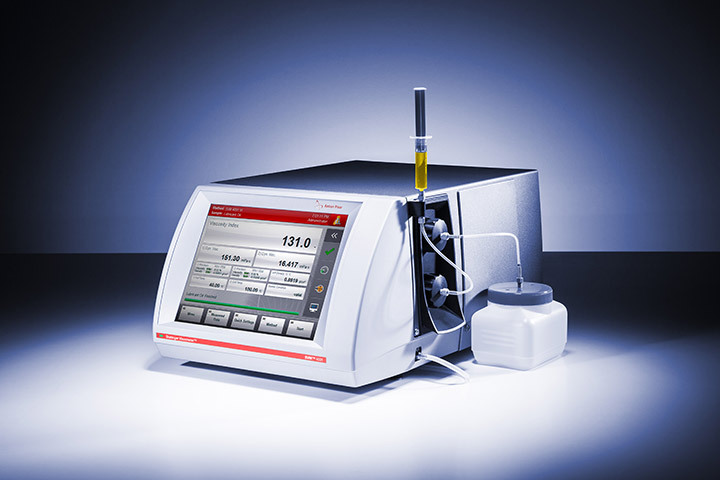 With more than 35 years of experience in viscosity determination, thousands of installed viscometers around the globe, and with an on-demand measurement service to help you find the right solution for your application, Anton Paar is the longstanding first choice in viscometry.